“We assessed North Korea’s provocations as extremely severe“, so we added another provocation on top. Note the usual B-1 Lancers from Guam didn’t join in. My provocation is bigger than yours, so there. South Korea’s foreign minister, Kang Kyung-wha, has meanwhile discussed the incident with the US Secretary of State Rex Tillerson. The diplomats agreed to pursue additional UN sanctions against Pyongyang, Yonhap reported. “South Korea, the US, and Japan jointly requested the UNSC hold an emergency meeting to address an emergence of threats to the peace and security,” an official at S. Korea’s foreign ministry, told Yonhap. 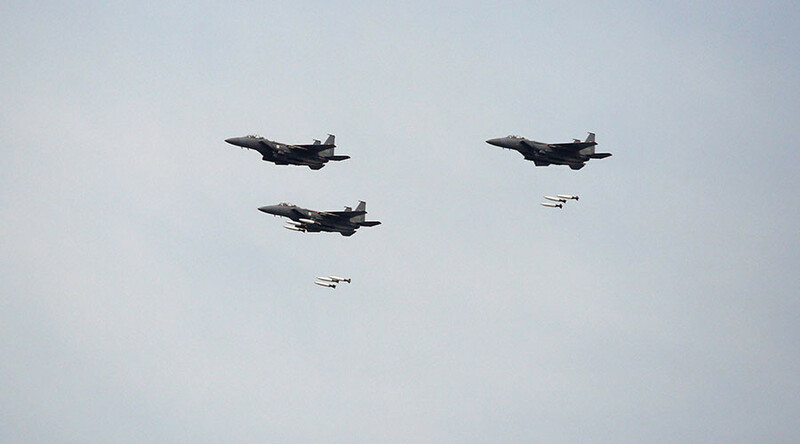 As South Korea responded to Pyongyang’s latest provocation, the Japanese Air Self Defense Force (JASDF) staged a pre-planned Patriot surface-to-air missile battery training exercise.